Easily upload files to the cloud. Is there a better alternative to Poseidon? Is Poseidon really the best app in Internet Utilities category? 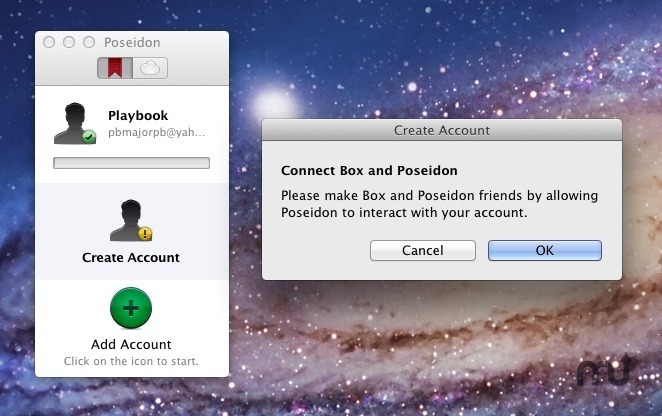 Will Poseidon work good on macOS 10.13.4? Poseidon acts as your personal digital printer. You can print every document right into the cloud with Poseidon and have it always with you. Of course, you can upload all kinds of files as well. Poseidon is a beta: Feedback is always appreciated. Poseidon needs a rating. Be the first to rate this app and get the discussion started!